Thank you to our customers for voting and helping us select our August Donor's Choose Project . 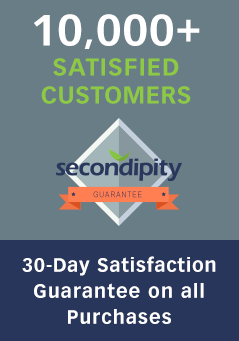 At Secondipity, we believe in giving back. That is why a portion of every purchase you make goes to support classrooms in need. Based on our customers votes, we were able to help in fully funding Ms. Delgado's classroom, from Asa Messer Elementary School in Providence, RI. She needed assistive technology for 4 special needs students, in her PreK-2 class. Secondipity.com has made a donation of $210.00 to Donor's Choose on behalf of Ms. Delgado's Classroom.